Steel shelving, rivet shelving and widespan shelving are a few of the shelving products provided by Dixie Shelving. We manufacture, sell, and install pallet rack, widespan, file shelving, and cantilever racks anywhere in the Continental United States. Shelving Concepts also owns Dixie Shelving. Dixie Shelving has been a widely known and trusted name in the industrial shelving world for nearly have a century. 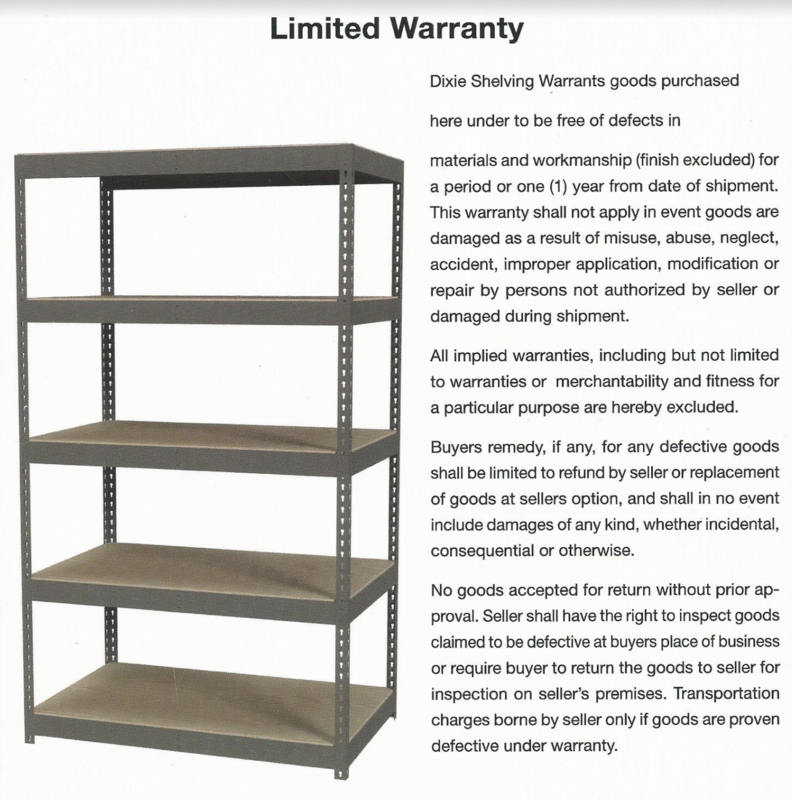 Learn more about why Dixie Shelving is such an exceptional Houston shelving brand by viewing the Dixie Shelving Warranty. New and used file shelving for office use, widespan shelving (sometimes called Rivet Shelving), used cantilever rack, and used pallet rack can cut startup and expansion costs compared to new pallet rack. There is a high demand for used warehouse shelving in the Houston, Dallas, San Antonio, Corpus Christi, New Orleans area. We serve all of these areas and beyond.